Of all the exotic places on the planet to choose for an exotic ride, why should you choose the Dominican Republic? 1. The weather is fantastic! Think of “perfect weather” and swaying palms and balmy tropical breezes may come to mind. That’s us. We are in the Caribbean basin, bordered by the Atlantic Ocean and the Caribbean Sea. We ride from November through April, when most of the Northern Hemisphere is wet & freezing and the Dominican Republic is a tropical paradise. 2. The Dominican people take pride in their hospitality. And they LOVE tourists—especially on motorcycles. You get treated like a Rock Star by the locals where every challenge is “no problema!” The Dominican people are fiercely proud of their country. 3. The geography is amazingly diverse with over 900 miles of coastline, mountains with a 10,300′ elevation and a true desert region all on one mini-continent. Few places on the planet offer such diversity. And this country is just a couple of hours away. 4. The History and Culture is fascinating. The New World began with the Dominican Republic. 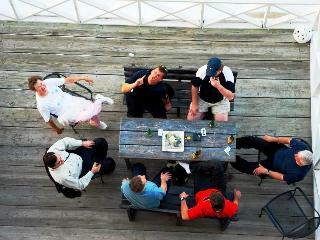 The food, drink, music and family-oriented culture are both exotic and familiar. 5. 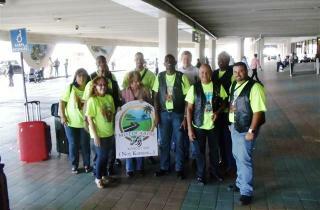 The Dominican Republic is a motorcycle culture! Of 2.5 million registered vehicles, 1.8 million are motorcycles, but very few over 150cc! 6. The riding is awesome! 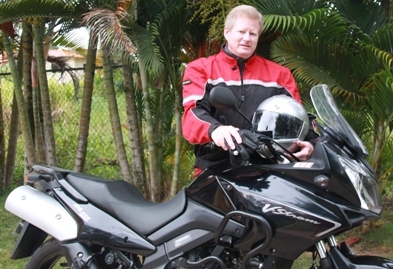 The Dominican Republic has some of the BEST motorcycling roads on the planet. 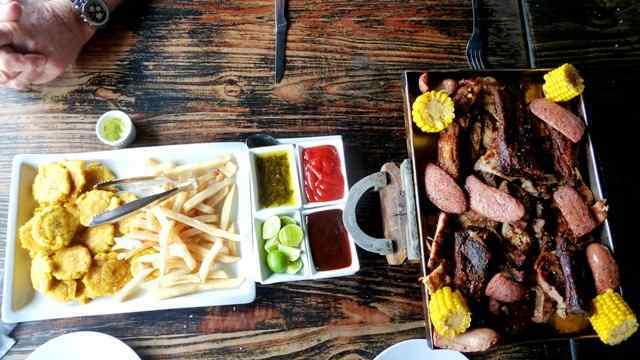 There is a reason many MotoCaribe guests come back. We promised Five Reasons. We delivered six. 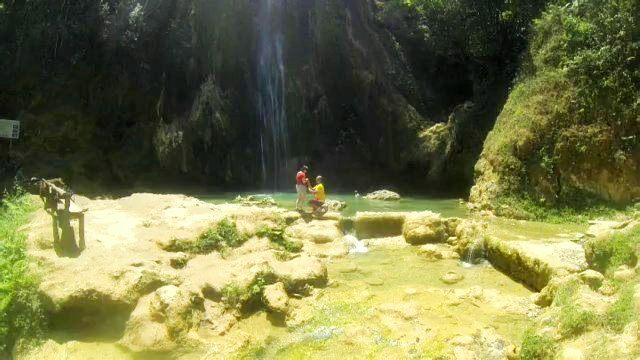 April 9, 2014, at Salto El Limon on the Samana Peninsula, Dominican Republic: Mike Pops the question while Alida videos as a willing co-conspirator. Mike & Angela were on a North Coast tour. When looking back at this tour I get this big silly grin on my face. Every time I tell my stories about the adventure I get a great big silly grin on my face. Now when I think about going back for another tour I get an even bigger silly grin on my face. What more could one want than a little adventure in paradise?